Classic Legends, a subsidiary of Mahindra & Mahindra, has inaugurated four new showrooms in and around Mumbai. The company introduced two showrooms in Mumbai, one in Navi Mumbai and one in Thane. The outlets were opened in the presence of Ashish Joshi, CEO of Classic Legends. Classic Legends have introduced four dealerships in Mumbai and the surrounding regions. The motorcycle brand inaugurated outlets in Bandra (pictured), Chembur, Thane and Navi Mumbai. Bandra, Mumbai: K K Motors, Building No B 264, Ground Floor, Blue Heaven Building, 30th Road, TPS Lane. Chembur, Mumbai: Yuvraj Motors, Shop No 4 & 5, Ground Floor, Shripal Building, Chhaya Co-operative Society Limited, VN Purva Marg. Thane: Yuvraj Motors, Z-5, Flower Valley Shopping Complex, Eastern Express Highway Service Road. Navi Mumbai: Aarav Automobiles, Shop No. 5 to 11, Ground Floor, Yashwant Arcade, Plot No. 56-58, 90, Sector-6, Koparkhairane. 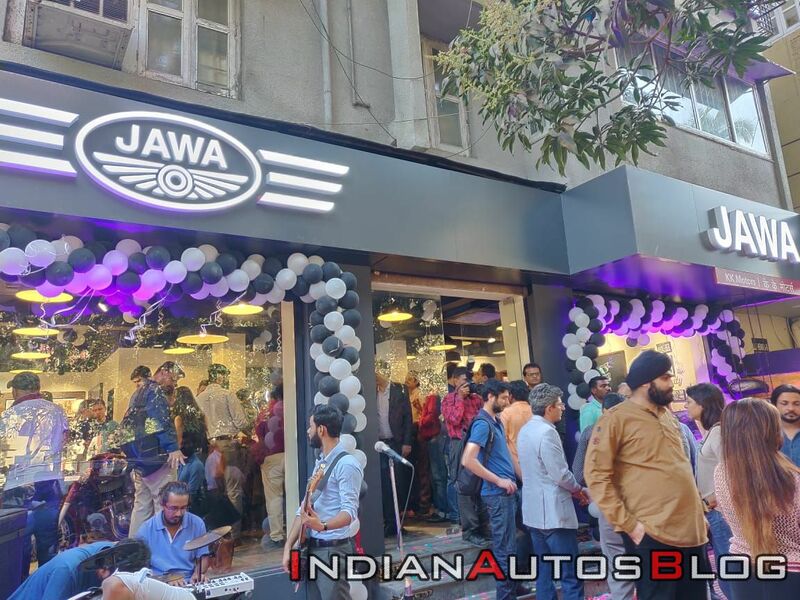 The four new dealerships are part of the ‘Phase 1’ launch of the 105 Jawa showrooms that are scheduled to be inaugurated across the country. The two-wheeler brand began operations in India with its first two dealerships in Pune in December followed by three outlets in Bangalore, five in Delhi-NCR and one in Nashik. Similar to the rest of Jawa dealership across the country, the new outlets, too, have a biker café ambience aimed to capture the nostalgia of a golden era through its dark polished wood fixtures, subtle inlays, raw textures and vintage oxblood upholsteries. The outlets also feature a large community table setting for conversations, bookshelf, and the Classic Rock in the background for the music lover. Jawa motorcycles have been sold out till September 2019, and the company has stopped taking online bookings for its bikes in the country. Customers can book the bikes at Jawa dealerships, though. Classic Legends brought back the Jawa brand with the Jawa Forty-Two and the Jawa classic at INR 1.55 lakh* and INR 1.65 lakh* respectively. Both the motorcycles were launched with rear drum brake and a single-channel ABS as standard. More recently, Classic Legends introduced the dual-channel ABS variants of both the bikes, priced at INR 1.73 lakh* for the Jawa Forty-Two and INR 1.64 lakh* for the Jawa classic.